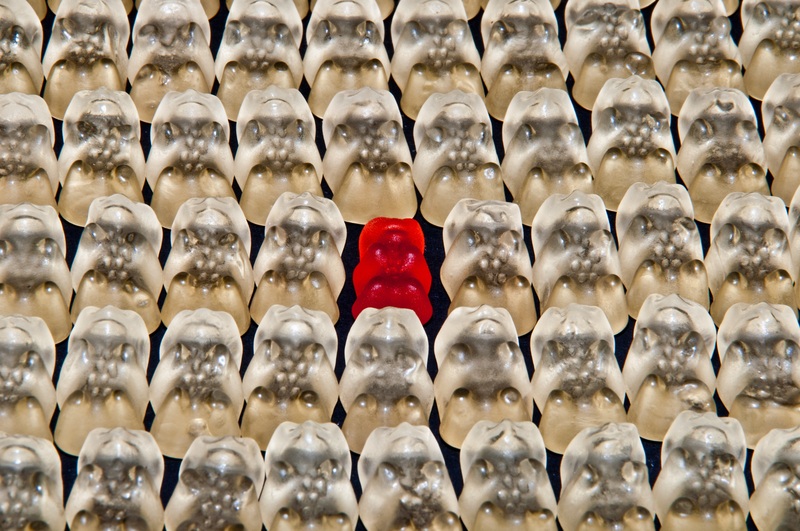 Stand out from the crowd and bring something new and unique to the market is something that is essential for start-ups do. Making something different whether it is a product or the way you deliver a service will help you outshine and stand against your competitors. Small businesses have corporate giants as well as independent small businesses as competitors, therefore they have to work extra hard at being memorable and different. If you are thinking about starting a business or you already run an existing one, then there are two potential strategies you could employ. Firstly, you are bringing a completely new and unique idea that will fill a void in the market. Alternatively, you inherit a business idea that is successful and already exists but you add your own twist to it. Depending on your business idea, you will have to use different strategies to really attract the customers. What remains the same though is that the focus needs to be on how you are different and better than you competitors. Here are a few ways in which you can really stand out from the competition. Innovation should be at the heart of your business as it is key to starting out and growing your organisation. Innovating your business will allow it to thrive, despite the competition. If you have launched your business based on a product or a service and it has proven to be a success, you must not stop. Getting comfortable will make the growth of your business stagnant and can severely hinder your business growth. Therefore, you should always strive to be innovative and bring something new to the market. You might want to add a product or service that compliments your existing products and services. For example, if you are running a business selling locally knitted scarves, then you may want to add gloves and hats to your business. This is a great way to expand your business, and reach more customers. Note that innovation isn’t just limited to products, you can be innovative in the way you deliver your service and the customer service that you provide. For example, if you are running a coffee shop near offices, you might want to start offering a delivery service to local offices. In order to be different and succeed in doing so, you have to apply your creative skills. Put together offers and packages that are just too good to turn down. You can offer your customers good value packages, with complimentary items that will benefit them. Your price has to be just right, you have to offer enough discount to entice the customers simultaneously, ensuring that you don’t face any losses. The great benefit of selling value packages is that you can sell items that your customer would have not necessarily wanted, but for a good price they can’t turn it down. For example, if you run a film subscription business, then give your customers a free month trial. Or if you run a coffee shop, offer a coffee and cake deal to help increase sales. You will need to ensure that you pack as much value as you can into the packages for them to sell and be a success. Be transparent with the core values and beliefs of your business. Being transparent can often help you differentiate yourself from others in the market. For example, if you are strongly against animal cruelty, incorporate that value and belief into your business. Only sell products which are animal cruelty free and make sure to bring attention to your value and beliefs. One of the biggest businesses that only sells cruelty free products is Lush, and they advertise this on their packaging. Promoting and marketing your core values will allow you to attract customers that share the same values as you. By shaping your business around your values and beliefs, you can attract a loyal customer base. Your unique selling point/proposition (USP) will be the main and biggest factor that will differentiate your business from your competitors. Every business needs to have a USP, it’s a vital part of business planning from the inception of the business idea. Your USP can vary from selling a niche product to the unique way of providing the service. For example, you could run a café in London, which in itself is not a ground-breaking idea. However, if you feature aesthetically pleasing interior and exterior décor, that will have millennials lining up, making it a success. Peggy Porschen, a café in London has done exactly that, and is capitalising from their USP. By being a very ‘instgrammable’ cafe, they have earned themselves free marketing as it’s a ‘new, cool spot’. The popularity with the customer base has made them a trending place on their social media. These are just some of the ways in which you can really stand out from the crowd. Giving and offering something new and different will surely entice clients and customers to your small business.